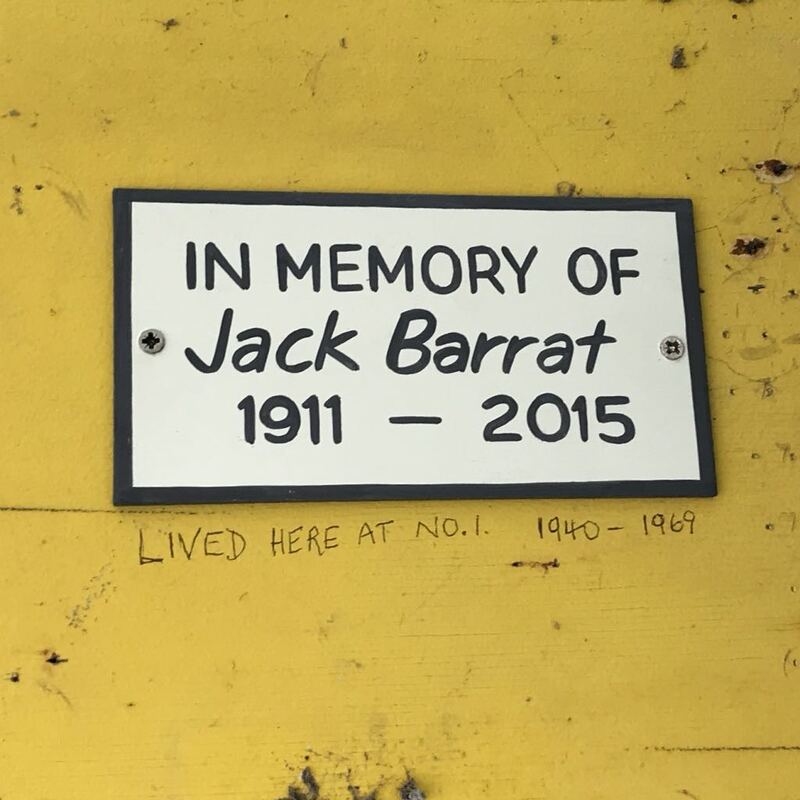 On the noticeboard: a new (I think) plaque: “In memory of Jack Barrat 1911–2015”. And scratched underneath: Lived here at No. 1 1940–1969. Arabica theme by Sean Lunsford and modified by Miraz Jordan. Published with Hugo.